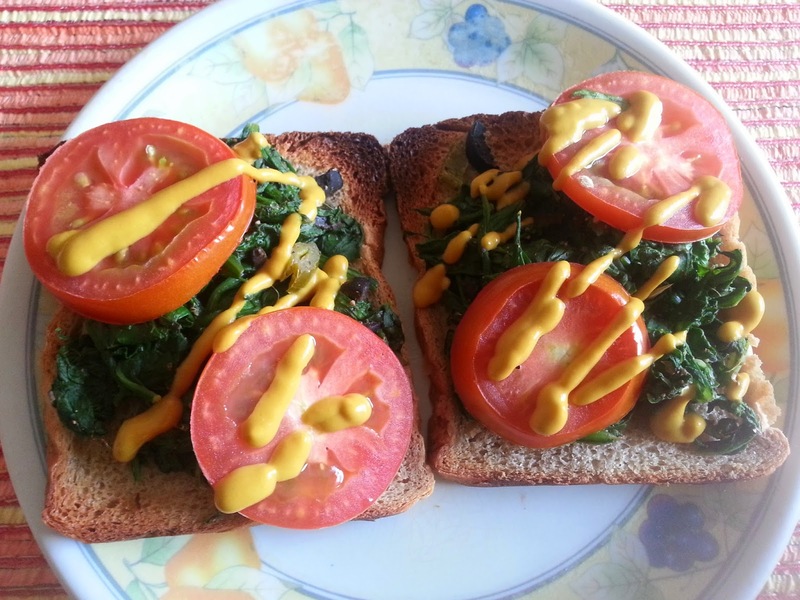 fascinatingfoodworld: Spinach and Tomato Crostini! Crostini in Italian means "little toasts". 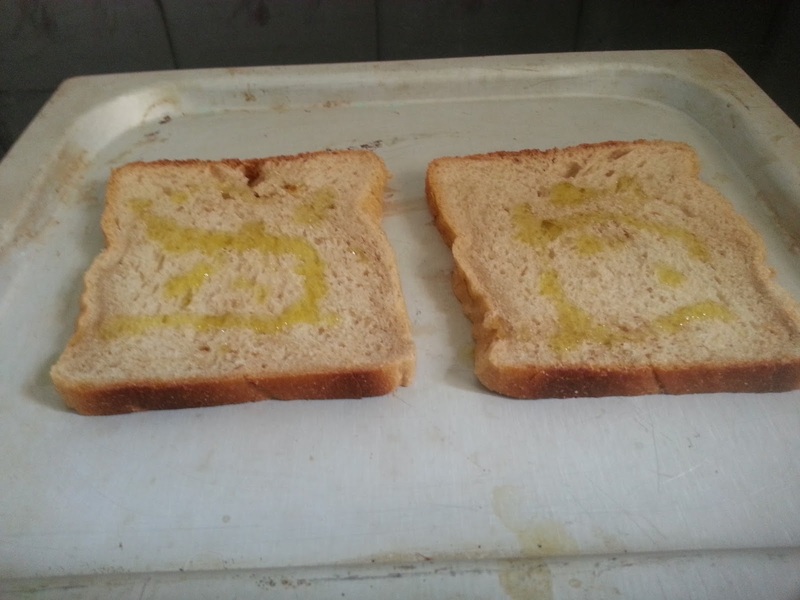 Its an Italian appetizer which consists of small slices of toasted or grilled bread with toppings on it. Bruschetta and Crostini, both mean the same. So basically you can serve crostini with any kind of topping that you prefer,classic one being with tomato,basil and garlic. In Italy, they put pretty much anything and everything on crostini..It can be just good quality cheese or sauteed mushrooms or caramelized onion or sun dried tomatoes or thin slices of meat. Sometimes, a crostini is just drizzled with olive oil and sprinkled with salt and pepper. I am pretty sure that you all have tomato bruschetta quite often in restaurants so lets introduce you to Spinach Crostini today. Ya I get it that hearing the word spinach can be boring but this appetizer does taste good. Spinach combined with olives and jalapenos makes this appetizer very delicious. 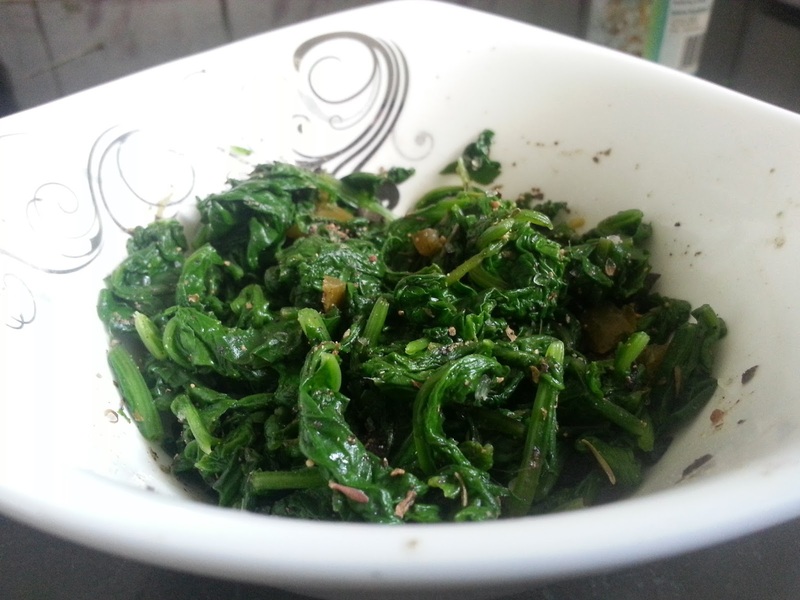 Spinach again is one of my favorite vegetable. As a kid, I used to loathe it. 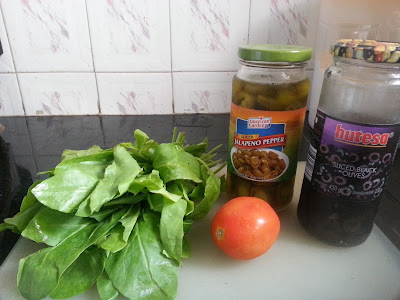 I guess most of us hate lot of vegetables and fruits in our childhood, but as we grow and learn about the nutritional benefits, we start relishing pretty much all kind of produce. During the monsoons, make sure to check spinach bundle before buying and wash it with water 3-4 times before using it. Drizzle olive oil on slices of bread and bake in oven for about 3-4 mins at 200 degree C.
Strain spinach properly. 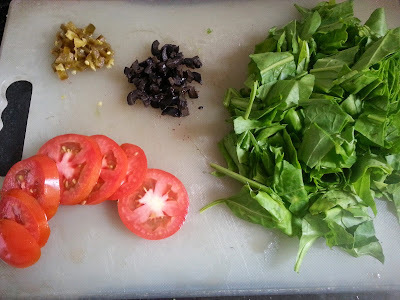 In a bowl, add blanched spinach,olives, jalapenos, salt, pepper, mixed herbs and mix well. 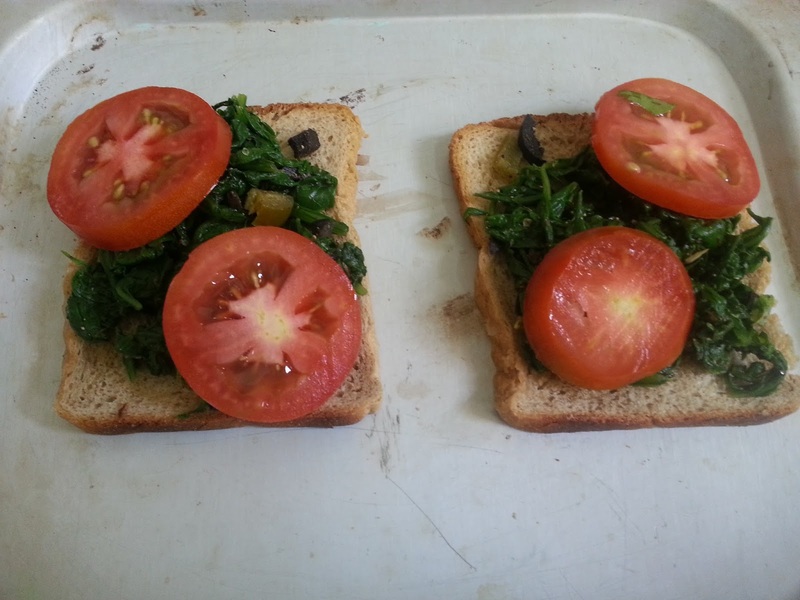 Place spinach mixture on toasted bread and arrange slices of tomato on it. Drizzle with olive oil and bake in oven again for 5 mins at 200 degrees.